"John Jacob Niles' Recital" by Morehead State University. Office of Communications & Marketing. 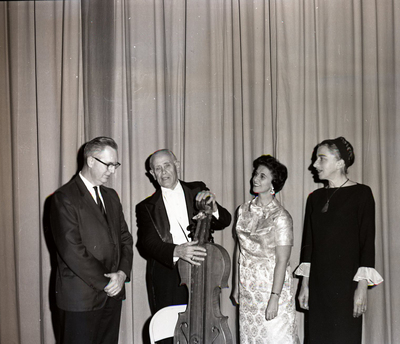 Folk musician John Jacob Niles' recital in Button Auditorium at Morehead State University on January 5, 1967.